Officials with the Massachusetts Department of Transportation (MassDOT) announced the opening of all three toll lanes at the Tobin Bridge, in both directions. Officials warn that there may still be periodic lane closures until all of the lane markings and steel repair projects are complete. The work that needs permanent lane closures will kick off again in spring of next year. This is the continuance of the three-year steel preservation and paint project that started last year. Since March, there have been a number of lane restrictions that have taken the road from three lanes down to two on both decks of the bridge. Our Boston car accident lawyers understand that transportation officials are working to minimize traffic changes throughout this project, but the changes are there and so are the risks. With road construction and lane changes, we typically see an increase in accidents. Although officials are encouraging travelers to participate in the E-ZPass system to alleviate congestion, it still may confuse a lot of travelers. With these tolls, officials hope to move to All-Electronic Tolling on the Tobin Bridge. Beginning early in 2014, motorists will no longer stop at a toll booth and pay cash for their Tobin Bridge toll. Tolls will be collected electronically through the E-ZPass transponder or via a program in which a camera captures the license plate and the vehicle’s registered owner is billed by mail. Roadway work zones are hazardous both for motorists who drive through the complex array of signs, barrels, and lane changes and for workers who build, repair, and maintain our nation’s streets, bridges, and highways. The Federal Highway Administration reports fatal crashes in construction and maintenance work zones dropped from 716 in 2008 to 576 in 2010. Approximately 70 percent of road construction site fatalities between 2003 and 2007 occurred between the hours of 8:00 a.m. and 4:59 p.m. In the state of Massachusetts, there were close to 10 people who were killed in motor-vehicle accidents in work zones in 2011, according to The National Work Zone Safety Information Clearinghouse. Work zones that have no signs, hidden signs, or incorrect signs – that are supposed to alert drivers – are dangerous and can cause serious accidents. Bad road conditions and poorly maintained work zones are an even bigger risk. Car accidents involving dangerous pavement-edge drop-offs kill close to 200 people and injure more than 10,000 people each and every year. Accidents in highway work zones have killed at least 4,700 Americans – more than two a day – and injured 200,000 in the last five years. 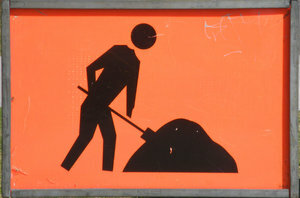 Motorists are reminded to slow down when approaching roadwork. Pay attention to the other vehicles in the area, and be ready to stop if necessary. Make sure to build extra time into schedules when traveling through areas where there is construction. Be safe out there while traveling through this area. Stay alert and drive cautiously to avoid a potentially fatal accident.